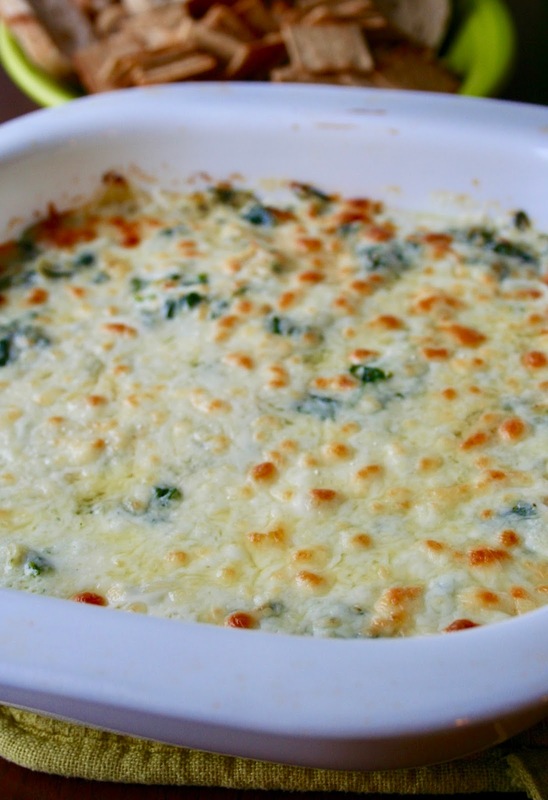 If you're a spinach artichoke dip lover like me, you're going to LOVE this recipe! It's one of the best I've tried and I can't wait to make it again. 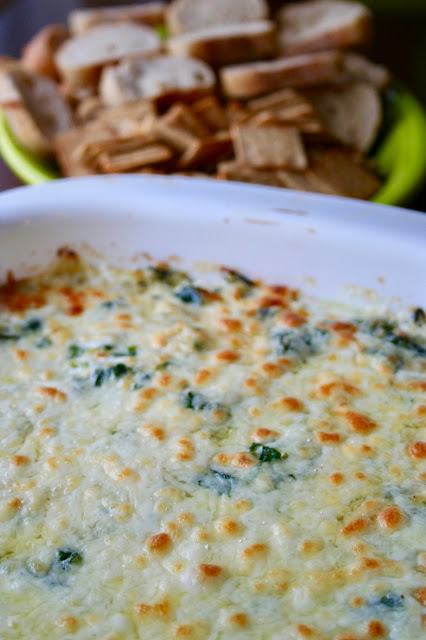 There is so much goodness going on in this dip and it is simply irresistible. I love that this version isn't completely mayo-based and mixes it up a bit with some sour cream and milk. I also love the addition of Monterey Jack cheese with the classic Parmesan. It's so good! I mean just look at that gooey bite! Could you really resist that? 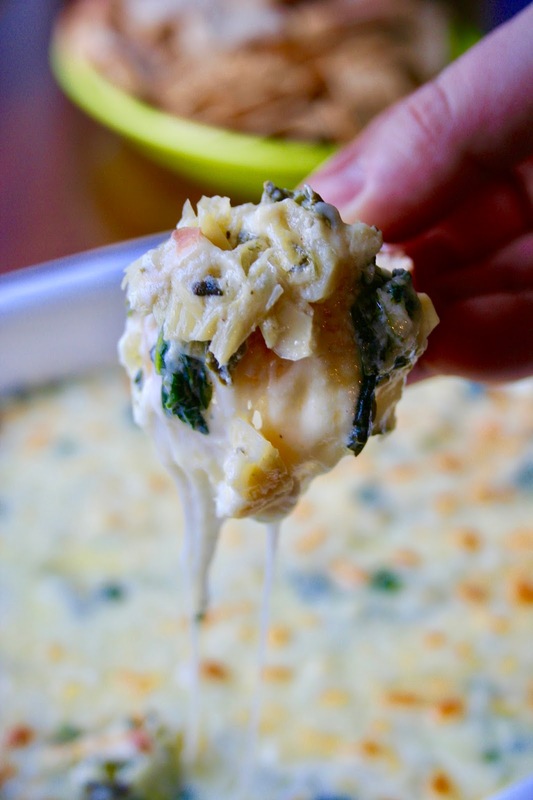 It's also so easy to make and a definite crowd pleaser. Be sure to try it out! 2. In a large bowl, combine 1 1/4 cups of Monterey Jack cheese, 1 1/4 cups of Parmesan cheese, cream cheese, mayo, sour cream, milk, heavy cream, garlic, salt and pepper. Stir well to combine. Stir in chopped/drained spinach and chopped artichokes. 3. Spoon the mixture into a greased 1 1/2-quart baking dish. Sprinkle the remaining 1/4 cup Monterey Jack and 1/4 cup Parmesan cheeses on top. 4. Bake for 30-35 minutes or until bubbly. If desired, broil for 1-2 minutes until brown spots form on top. Watch carefully so it doesn’t burn. 5. Serve warm with tortilla chips, crackers, vegetables or bread slices. *Leftovers can be stored in the refrigerator, covered, for up to 4 days.